I'm a life and business development coach, spiritual advisor and author. My passion is to help people discover and engage their true potential, and experience a life they love. Are you holding back from pursuing what you want and living your true potential? Do you feel stuck in doubt, worry or negative self-talk? Do you create distractions in your life to avoid feeling unfulfilled? Are you denying your true desires? Feelings of unworthiness are a leading reason why people experience these issues. 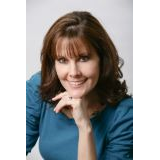 Author and life coach Kimberly Ann Coots can help you connect with a greater sense of confidence, purpose and self worth. Divine Worth shows you how to transform the unworthiness mindset that may be sabotaging your happiness. You can learn how to break the bonds of unworthiness and experience greater self-worth; meaningful life purpose; more joy and fulfillment; connection with self and life; healthier, happier relationships; and greater abundance. Discover how to be your authentic self and live with purpose, passion and prosperity. The more than twenty-five practical exercises, tools and insights in this book will guide you in transforming self-limiting thoughts and beliefs, and empower you to create greater joy and fulfillment in your life. My personal experience with unworthiness in my own life, and the experiences my clients and many other people have with unworthiness have propelled me to reach out and help transform the unworthiness mindset that sabotages happiness. We're all good enough and worthy of living a life we love! My passion is to help shift the consciousness on the plant from fear, lack and separation to love, connection and abundance, and this book is one vehicle to living that passion.